Wondering why India went to Israel for water? Here’s the reason and why we should be worried. After a gap of 67 years, the Indian Prime Minister made an official visit to Israel this year. While the world debated the reasons for this shift in India’s policy, possibly the best explanation came in the form of Israeli Prime Minister Benjamin Netanyahu’s “mic gaffe”. When Israeli technicians left a microphone running during a closed-door meeting of Netanyahu with EU officials, Netanyahu was heard saying that the Indian Prime Minister Narendra Modi said apropos of his visit, “I need more water. Clean water. Where will I get it? Ramallah? No”. If that is indeed the reason, the visit could be considered a success because Israel has promised to assist Uttar Pradesh in managing its water better. Why Israel for water management? Israel is a desert nation which has created a reputation for itself as entirely self-sufficient in water. In the early stages of the nation’s creation, this self-sufficiency was brought about by massive infrastructure. The National Water Carrier, operated by the government-owned Mekorot, is the country’s largest infrastructure project. Increasing drought, exacerbated by climate change, however, led to the system failing to meet the water needs in the 1990s. The drought turned the focus onto better management of water which included wastewater management, awareness building, irrigation efficiency, and an aggressive leak-reduction programme. These are the initiatives which have cemented Israel’s reputation as a responsible water manager and justly so. In recent years, Israel has also taken up work on desalination plants to use seawater for drinking and other uses. This “delinking of water from nature” has also made the country more self-reliant in water. A drought here no longer means water scarcity since Israel does not depend on rainfall as the only water source. In 2014, Hila Gil, director of the desalination division of the Israel Water Authority said that the “(water) problem is no longer on the agenda”. With the country becoming water secure with desalination, the focus on water conservation has reduced. An analysis of desalination in Israel points out that while Israel had a strong demand management strategy earlier, “the core of recent Israeli water policy has been built primarily around desalination.” Throughout Israel’s history, till 2004, there has also been an absolute absence of any allocations of water for environmental needs such as for healthy rivers and wildlife. The Sea of Galilee is Israel’s only lake. Along with groundwater, it was once the primary source of water for the country. The drought of the 90s, however, made the Israelis realise that their natural water resources were finite prompting the administration to engage in an aggressive and multi-pronged approach to recharge groundwater and manage the resources better. Wastewater recycling: It is here that Israel leads the world by a wide margin. It recycles 90 percent of its wastewater. Spain, which comes second in this effort, recycles 20 percent. About 87 percent of this recycled water is reused. About half of Israel’s irrigation is by wastewater. On the contrary, despite several high-profile attempts to reduce the pollution of the Ganga, Uttar Pradesh only has 27 sewage treatment plants with a total installed capacity of 795.5 million litres per day (MLD). According to the UP Jal Nigam’s data for 2005, the population in the state’s towns was about 1.21 crore. The Bureau of Indian Standards prescribes 135 litres of water per person per day, of which 80 percent is assumed to be non-consumptive (bathing, washing etc) and is returned to the environment as wastewater. This indicates that the total sewage generated by these towns is 1,312 MLD. Thus, the installed capacity of all the sewage plants in Uttar Pradesh is merely half of the sewage generated in the state’s urban areas, with no mention of the actual functionality of these installed plants, or of sewage treatment in rural areas. Tracing leaks: Delhi loses 40 percent of its supplied water to leaks caused by damaged infrastructure. Israel, on the other hand, considers only five percent loss as the acceptable level of leakage. This is achieved by an aggressive programme of tracing and plugging leaks. Small start-up firms in Israel have developed real-time sensors that detect minor leaks and alert the authorities. With Israel emerging as the world leader in this field, several other governments have also hired these firms to tackle their non-revenue losses. Groundwater recharge: In the 1950s, when Israel constructed the National Water Carrier, it also began extensive withdrawal of groundwater. In 1964, the national water supply system also incorporated artificial recharge of groundwater, to utilise aquifers as seasonal storage. By the turn of the century, depleted aquifers, dying springs, and a fall in the level of the Dead Sea shifted the focus to conservation. The country now recharges its aquifers with treated wastewater and has also embarked on extensive monitoring of aquifers. These are all excellent technologies. When it comes to policies, however, Israel has faced considerable criticism, with its discriminatory water policies documented by the United Nations, World Bank, Amnesty International, Human Rights Watch, and the US State Department. India is presently at a point where certain policies and opinions of the government are seen as threatening to vulnerable sections of the society. For example, the Centre for Policy Research-Namati Environmental Justice Program has documented several instances in which modifications to environmental laws have persecuted local communities and permitted environmental damage while protecting industries. Many articles have been published in the media about how the country’s poor have been affected by the crackdown on slaughterhouses, Goods and Services Tax, and demonetisation. India, therefore, needs to be sensitive when implementing the Israel model of water management and avoid the following elements. 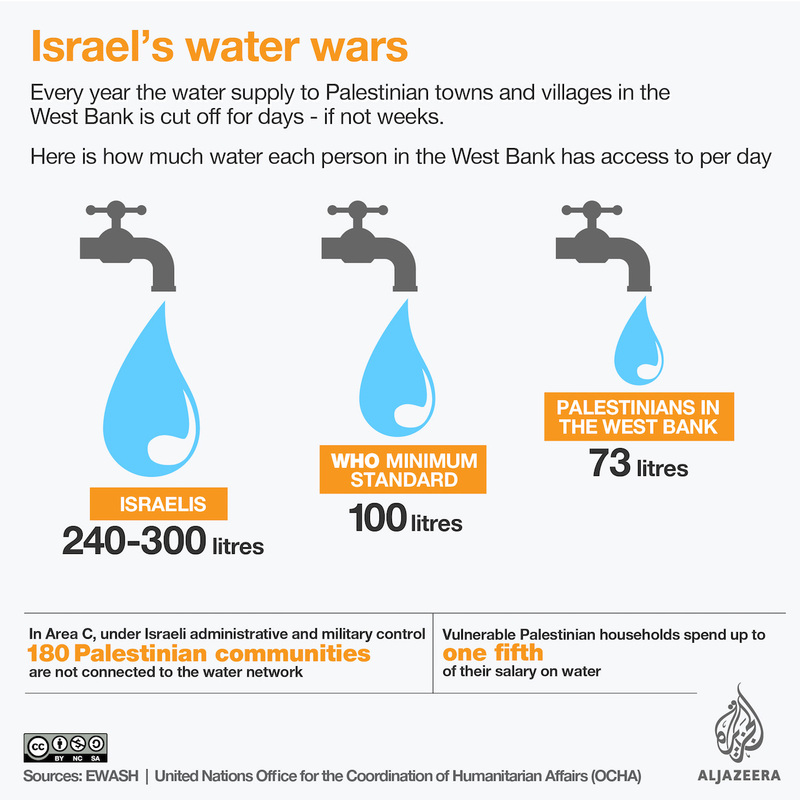 Exclusion: Israel’s water policies discriminate against the Arabs and Palestinians. This exclusion has its roots in the establishment of Israel in a land long-occupied by Arabs. Israel has been widely condemned for this exclusion. India’s recent focus on industrial growth has also been accused of alienating our vulnerable communities and persecution in the name of national development programmes. Uttar Pradesh has always had its share of communal tensions, and marginalisation of the poor. Any adoption of Israel’s methods of water management needs to be scrutinised to determine that it is indeed, fair to the vulnerable sections also. High reliance on technology: Israel’s interventions for water management rely heavily on energy-intensive technology. The desalination plants established in the 90s, the real-time monitoring of leaks, all assume reliable supplies of energy and the presence of trained staff. India has a history of municipalities lacking the infrastructure and funds to maintain technologically intensive interventions. The intermittent failure of sewage treatment plants constructed during the two Ganga Action Plans due to the lack of funds to pay energy dues has taught India that reliance on resource-heavy technology is unsustainable. Environmental negligence: Israel’s policy of maximising the use of its water resources has decimated the highly fragile desert environment where it is situated. The country’s only freshwater lake, the Sea of Galilee, is drying up. The only major river, the River Jordan, is a shrinking thread of waste and saline water. The Dead Sea is under threat of extinction. Israel is populated by people who have moved there from other countries and so do not have intimate links with their ecosystem. The people who are dependent on the environment culturally and for livelihood, are the Arabs, who are being excluded by the state. Eyal Weizman and Fazal Sheikh in their book, The Conflict Shoreline: Colonialism as Climate Change in the Negev Desert point out that Israel’s policy considering the Negev desert as unpopulated and using it as a dumping ground for radioactive waste and garbage has had an impact on Arabs and Palestinians and have alienated them. India is in a very different situation. The country is largely populated by people who depend on healthy ecosystems for their lives and livelihoods. The recent focus on industrial development is leading to the marginalisation of these people, resulting in people’s movements and protests. India cannot afford to do any further disservice to its poor.